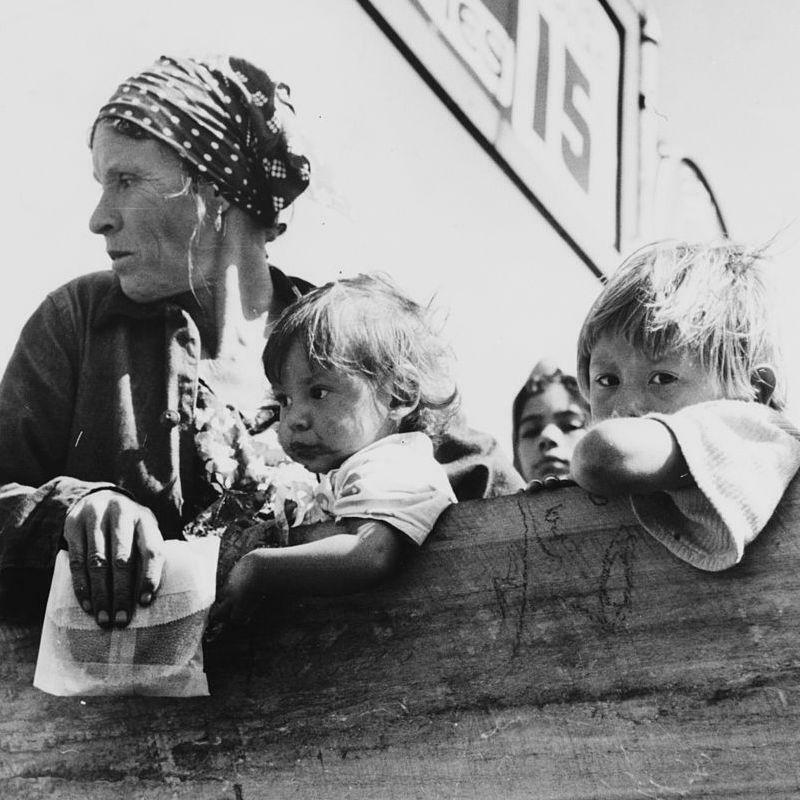 Mexican woman and children looking over side of truck which is taking them to their homes in the Rio Grande Valley from Mississippi where they have been picking cotton. October, 1939. The problem is that for our current president, short-term solutions are kind of the name of the game, aided, says Francisco Balderrama, by a heaping helping of historical ignorance. FRANCISCO BALDERRAMA: Obviously, we have an individual who doesn’t have an understanding of history, in particular the great repatriations of the 1930s. BOB GARFIELD: Francisco Balderrama is co-author of a Decade of Betrayal: Mexican Repatriation in the 1930s, about a mostly forgotten chapter of US history. We spoke with him in 2015 and he reminded us that during the stress of the Great Depression, US officials undertook a mass expulsion of Mexican immigrants and their American-born children in precisely the manner and for precisely the reasons being championed by Trump. FRANCISCO BALDERRAMA: Using the same language, people talked about the expulsion of Mexicans and frequently invoking the notion or the idea that we’ll keep the families together and, by keeping the families together, obviously, unconstitutionally deporting American citizens of Mexican descent who are American citizens by birth. BOB GARFIELD: Tell me first about its scale. FRANCISCO BALDERRAMA: Well, we’re talking about conservatively over 1 million Mexican nationals. About 60% of those were US citizens, either because they were children or they were spouses of Mexican nationals during that moment. And we have it occurring throughout the United States, from the American Southwest to the Midwest to the deep South, Pacific Northwest, also including Alaska. Especially in the winter of 1930-1931, the Hoover administration conducted very publicized raids. Here in Los Angeles, we had the infamous Placita raid in downtown Los Angeles. 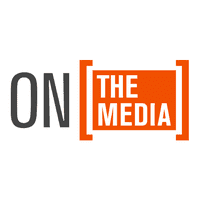 Businesses -- US Steel, Southern Pacific Railroad, Ford Motor Company -- these companies sought to decline their workforce by focusing on Mexicans and providing transportation for Mexicans to leave the country. At the same time, on the local level, the different counties, the different states then took it into their own hands to round up individuals, frequently referring to that we're going to cut charities, we’re going to cut relief by shipping Mexicans home. BOB GARFIELD: That, itself, sounds awfully familiar about the cost of supporting an immigrant population. Is it a direct parallel? This did all take place, of course, in the depths of the Great Depression. FRANCISCO BALDERRAMA: Los Angeles had the largest Mexican concentration in the United States and most of the Mexican population had been longtime residents of LA County, about 60% for quite a time, and were on welfare no more than a year or so; we found about 40% of them. In other words, Mexicans never constituted that much of the welfare population, and it also raised serious questions that even with their expulsion, would that have produced, to use the words of the 1930s, that many jobs for Americans? BOB GARFIELD: You made reference to the raid at Placita in 1931 in downtown LA. Tell me about it. Was it an atrocity? Was it like the raid on Stonewall in Greenwich Village in the ‘60s? Was it Kristallnacht? What was it? FRANCISCO BALDERRAMA: I think it's more of a declaration of the attitude of American society. By targeting this particular area, the historic core of the city -- the Mexican population had been involved with the founding of the city and the development of the city -- they’re making a declaration here, that Mexicans are not wanted, that Mexicans are not a part of the society. Rather they are disposable labor. We use them in good economic times and we get rid of them in bad economic times, if we need to do that. And the Placita raid underscores that. And because Los Angeles had his great concentration, it becomes kind of the model. We don’t call it deportation, we call it repatriation. We organize trains. That’s the way we get rid of the Mexicans. BOB GARFIELD: Your late co-author, Raymond Rodriguez, testified at a California State Senate hearing in 2003 about his personal history. RAYMOND RODRIGUEZ: In many cases, families were split. That happened in our family. My dad left in 1936, when I was 10. [BREAKING UP] I never saw my dad again. BOB GARFIELD: How big a profile did this program have? Was the American public even aware that this was going on? Was it an issue? Was it a controversy? Was it a debate? The federal government, as we go into the Roosevelt years and the New Dealers, they’re pretty blind to this, much like, later on, they’re blind to the placement of Japanese Americans in concentration camps. BOB GARFIELD: Has this episode even shown up in textbooks? FRANCISCO BALDERRAMA: Well, it has been a part of the, the teaching of Chicano History and Chicano Studies, but in mainstream US History courses sometimes the only reference to Mexicans and Latinos is the obligatory reference to Cesar Chavez but no understanding of this. There has been passage, just last week, of AB-146 here in the state of California, that, if signed by the governor, encourages the teaching of unconstitutional deportation of the 1930s in California schools. The state of California in 2006 recognized it and offered an apology. That apology was memorialized with a monument right at the site of the Placita raid. That understanding of it, that knowledge of it, that teaching of it, I think, is a good insurance policy in terms of not having this outrageous type of public policy implemented. BOB GARFIELD: Francisco, thank you so much. BOB GARFIELD: Francisco Balderrama is professor of History and Chicano Studies at California State University, Los Angeles. He is the co-author, with the late Raymond Rodriguez, of Decade of Betrayal: Mexican Repatriation in the 1930s. BROOKE GLADSTONE: Coming up, what America was and is, going back through the eights, as in 1948, ’58. ’68, ’78.